Dr. Abril’s professional promise to you is dignity, respect, and ethical care of your teeth, implants and gums. He believes in dedicating the right amount of time to each patient whether it is for a consultation or a complex surgical procedure. Dr. Abril graduated from St. Louis University in St. Louis, Missouri where he received his degree in both periodontics and Master of Science in dentistry (research). His experience goes beyond the classroom and extends to international venues. He practiced privately for two years in Bogota, Colombia where he holds a degree in general dentistry. He worked in a general dentistry practice in Northern Virginia for five years where he discovered his passion for periodontics and focused patient care. Most recently he was in private practice in the Northern Virginia area for three years before joining Fusion Dental. 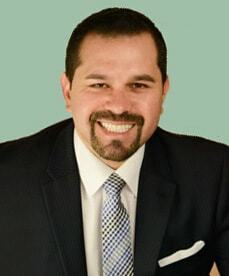 During his periodontal training, Dr. Abril acquired clinical experience in all aspects of non-surgical and surgical periodontal procedures including scaling and root planing (deep cleanings), bone grafting around teeth and implants, plastic surgery for teeth with gum recession and for teeth with poor gum quality, as well as crown lengthening procedures. He is fully trained in dental implant surgery, a treatment that replaces missing teeth with state-of-the-art dental implants that look and function like natural teeth. He has committed himself to improving the quality of people’s lives by treating the diseases that cause tooth loss and contribute to many overall health problems. He is also LANAP® and LAPIP™ certified which consists of the use of a periodontal laser - Perio Lase ®, to conservatively (no incisions, no stitches) treat periodontal disease allowing significant improvements in the health of teeth and implants that were considered to have a poor-questionable prognosis in the beginning of the treatment. Dr. Abril lives in Aldie, VA and in his spare time he enjoys a long walk and playing football soccer. He has passion for photography.